Need a pick-me-up? Hold the sugar, bad carbs and bad fats? 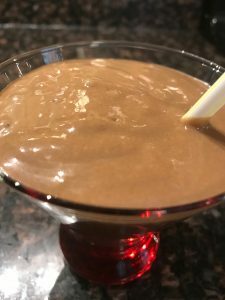 This Chocolate Avocado Smoothie is no joke! Packed with great fats to hold back hunger and give you energy, little to no sugar (your choice), and so creamy and satisfying, this powerhouse chocolate avocado smoothie makes a great breakfast, lunch, or snack. Drink up! Don’t you hate when you drink a smoothie or have a snack and feel hungry again an hour later or even less?? That often happens when we don’t consume enough good fat. Because avocado is full of good fats, it fills us up when we eat it, helping us to feel full and satisfied. Fats take longer to burn, which prevents us from getting hungry again as often. This makes it easier to make it to the next meal without reaching for that candy bar, soda can, or whatever your vice may be. Avocado whips up to give a creamy, thick texture. So, be ready to adjust your milk amount depending on the size of your avocado. Whether you like it super thick or on the thinner side, avocado will make it super creamy without adding heavy, fattening, dairy. Yay for avocado! 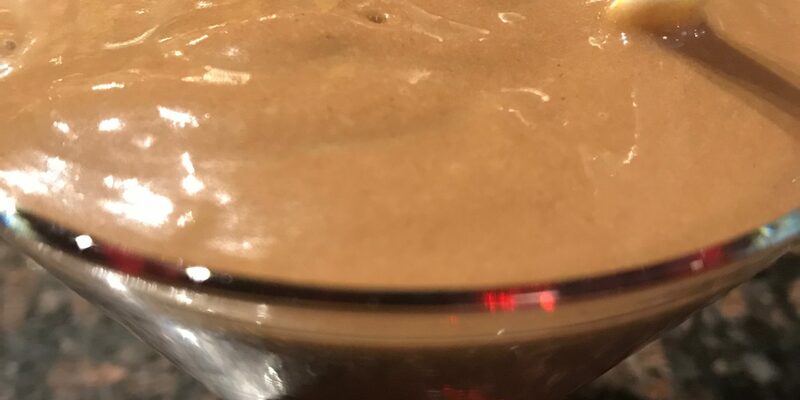 Even if you don’t love avocado, it’s easy to sneak into your diet for all of it’s amazing health benefits by popping it into this Powerhouse Chocolate Avocado Smoothie. It easily takes the flavor of the cocoa or cacoa powder. As long as you like chocolate, you will like this smoothie! You have options with this smoothie. You can add a teaspoon of an unrefined sweetener, like raw honey or coconut nectar, adding only 4g of sugar to this Powerhouse Chocolate Avocado Smoothie. If you are sugar-free, no worries. I love it with a few drops of liquid Stevia (I find the best price at Whole Foods or Trader Joe’s) or liquid Lakanto drops, which I typically get at Body Ecology or off Amazon. I love the liquid Lakanto drops. They have no aftertaste and are easy to take on the go! I also go for gold and typically add a scoop of protein powder to this smoothie. Lack of protein (like lack of good fat) is another cause of hunger and sugar cravings. I like the Dr. Axe Bone Broth Protein Powders (chocolate and vanilla are my faves) and Body Ecology’s Vegan Fermented Protein Powders (I like chocolate). You can’t go wrong with a scoop of either one of them! 8-12 oz lite coconut milk or other unsweetened milk will work! Put all ingredients in a high powered blender and whiz until smooth. Add more milk if you want your smoothie less thick.